The Hack-a-Shaq is named after Shaquille O'Neal. Hack-a-Shaq is a basketball strategy initially instituted in the National Basketball Association (NBA) by the Dallas Mavericks coach Don Nelson to hinder the scoring ability of the opposing team by continuously committing personal fouls against one of its opposing players, the player chosen being the one with the weakest free throw percentage among players on the court. The strategy has been curtailed somewhat starting in the 2016-17 NBA season, as intentional away-from-the-play fouls committed within the final 2:00 of any period and overtime will result in one shot for the fouled team and possession of the ball. Nelson initially devised the strategy for use against the Chicago Bulls, specifically power forward Dennis Rodman, who was a poor free throw shooter. However, it ultimately became better-known for its implementation against center Shaquille O'Neal, also known for his low free throw percentage. The name of the strategy is sometimes altered to reflect the player being fouled, for example Hack-a-Howard for Dwight Howard. The name is a colloquial rhyme that comes from the term hack, basketball slang for a personal foul, and Shaq, a nickname for Shaquille O'Neal. Although the name is obviously informal, no more formal name for the strategy has yet come into common usage. Even in the context of more formal conversations, the name Hack-a-Shaq is generally used. The Hack-a-Shaq name was originally used during O'Neal's college playing days at LSU and during his NBA tenure with the Orlando Magic. At that time, however, the term referred simply to opposing teams employing an especially physical style of play in defending against O'Neal. Teams sometimes defended him by bumping, striking or pushing him after he received the ball in order to ensure that he did not score easily with layups or slam dunks. Because of O'Neal's poor free throw shooting, teams did not fear the consequences having personal fouls called against them when using such tactics. However, once Nelson's off-the-ball fouling strategy became prevalent, the term Hack-a-Shaq was applied to this new tactic, and the original usage was largely forgotten. Committing repeated intentional personal fouls is a long-standing defensive strategy used by teams who are trailing near the end of the game. The downside of the strategy is that it results in the fouled team being awarded free throws. The typical NBA player makes a high enough percentage of his free throws that, over time, opponents' possessions that end by their taking free throws will yield more points than those possessions in which the opponents must actually execute their offense against a standard defense. For example, even the highest scoring teams in the NBA average only approximately 1.1 points per possession overall. If such a team instead shot two free throws on each possession, they could equal their offensive output even while only making 55% of those free throws. However, even the poorest free throw shooting teams in the NBA typically make around 70% of their free throws. Therefore, intentionally fouling repeatedly is not generally the best way for a defense to assure that its opposition scores the fewest possible points. However, the potential advantage of such fouling is that it stops the game clock. If a team is trailing with time running out in the game, the strategy may be their only hope, as they cannot afford to allow time to elapse from the game clock while playing a standard defense, especially with the winning team looking to simply hold onto the ball until time runs out without even attempting to score, if possible. Instead, they must foul as a means of terminating the opposing team's possession as soon as possible. Also, the effectiveness of this strategy is heightened as fatigue and pressure can affect the ability of the free-throw shooter. When this strategy was originally employed in the NBA, the trailing team often made a point of fouling the opposition player who was the poorest free throw shooter in the game at that time, even if that player did not possess the ball. 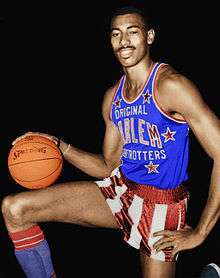 Fouling "off the ball" in that way, however, eventually became a problem for the league when Wilt Chamberlain—a player of superstar caliber but an atrocious free throw shooter—entered the NBA. Basketball great Wilt Chamberlain was a notoriously bad free throw shooter. Wilt Chamberlain was such a great player and dominant force that he would be certain to be on the floor in late-game situations if the score was close. However, he was such a poor free throw shooter (51%) that if the opposition needed to employ intentional fouling late in the game, Chamberlain would always be that team's target. Just as the opposition was eager to send Chamberlain to the free throw line because of his ineptitude there, Chamberlain himself was reluctant to go for that same reason. This led to the spectacle of virtually an entire other game being held away from the ball and almost completely outside of the basketball game being played, as Chamberlain essentially played a de facto game of tag with defenders, attempting to run from and dodge them as they chased him trying to foul him. The NBA decided to address this undesirable situation by instituting a new rule regarding off-the-ball fouls—that is, committing a personal foul against an offensive player who neither has the ball nor is making an effort to obtain it. The new rule stated that if the defensive team commits an off-the-ball foul within the last two minutes of the game, the offensive team would be allowed to keep possession of the ball after the awarding of either one or two free throws. Since the entire reason for employing intentional fouling as a strategy was to quickly terminate the offensive team's possession, this new rule, when in effect, forced the team using intentional fouling to foul only the offensive player who had the ball. This brought an end to the need for Chamberlain (or any other poor free throw shooter) to play hide and seek with opposing defenders in intentional fouling situations. The current version of the rule carries an even more punitive penalty for a violation--not only does the victimized team maintain possession but it is permitted to select any player they want to shoot the awarded free throw, obviously choosing the most proficient free throw shooter on their squad. The reason they have that rule is that fouling someone off-the-ball looks foolish . . . Some of the funniest things I ever saw were players that used to chase [Wilt Chamberlain] like it was hide-and-seek. Wilt would run away from people, and the league changed the rule based on how silly that looked. Although there are a number of game situations in which it may make sense for a defense to commit an isolated intentional foul, from its inception, the strategy of intentional fouling repeatedly, on each and every possession by the opposition, was used only as a desperation measure. It was thought to make sense only when time was so short in the game, that a team trailing in the game, when they were on defense, had to make stopping the clock an even greater priority than stopping the other team from scoring. The strategy was not thought to make sense at most other times because allowing a team to shoot free throws typically will generate more points for them over time than does playing a standard defense. In the late 1990s, however, Don Nelson theorized that if an especially bad free throw shooter were targeted every time, then intentionally fouling him repeatedly might actually yield fewer points per possession for his team than would playing a typical defense against them. Since Nelson would be employing the strategy even in the absence of any late-game need to stop the clock, he would be free to use it with greater than two minutes left to play. Thus, the off-the-ball foul rule would not apply. So Nelson's innovation was not the creation of the strategy. Rather, his innovation was to take a strategy whose primary purpose had always been simply stopping the clock, and employ that strategy in an entirely different fashion: with a primary purpose of minimizing the opposition's scoring. Nelson first employed the tactic against Dennis Rodman of the Chicago Bulls in 1997. Rodman was shooting free throws at 38% on the season entering that game. The strategy could not be used over the entirety of the game, since each player is disqualified from the game upon commission of his sixth personal foul. However, Nelson felt he could still employ the strategy at selective times by assigning a little-used player to commit the fouls—one whose contributions the team would not particularly miss upon his fouling out. In so doing, the theory went, Rodman's horrific foul shooting would result in the Mavericks actually giving up fewer total points during those Bulls possessions than they would give up by playing a standard defense against the Bulls' efficient offense, led by Michael Jordan and Scottie Pippen. In that game, Rodman shot 9-for-12 from the free throw line, completely nullifying the strategy, and the Bulls went on to victory. Given its ineffectiveness on that occasion, the strategy was then largely forgotten, aside from the fact that Maverick player Bubba Wells, whose assignment it had been to foul Rodman, set the all-time NBA record for fewest minutes played (3) before fouling out of a game. However, Nelson revisited the strategy in 1999, this time against Shaquille O'Neal (52% free throw shooting over his career). And this time, some other NBA coaches chose to follow his lead and also employ the strategy against O'Neal. The result was that despite the fact that it had been first used two years earlier against Rodman, the strategy became much better known for its use against O'Neal. While playing, O'Neal's attitude toward the strategy was generally one of defiance, claiming that he would make the most crucial free throws "when they count", and that the strategy simply would not work against him. 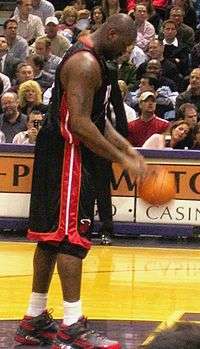 O'Neal reached a low point in his free throw shooting during the 2000–01 season, finding himself at a miserable 38% on the season in December 2000. At that time, the Lakers hired Ed Palubinskas to help coach O'Neal. O'Neal shot almost 68% over the last 15 games of that season, and finishing the last home game of the regular season against Denver making 13 of 13 from the line prompting O'Neal at one point to loudly bark, "It doesn't work any more!" at his opposition when the Hack-a-Shaq strategy was being used. O'Neal managed to consistently shoot free throws slightly better for the next two seasons than he had earlier in his career. However, he only managed to break 60% over a full season just one time: in the 2002–03 season. And after that season, his free throw shooting got much worse, remaining consistently below 50%. Despite his regression, O'Neal eschewed the idea of any further special coaching to improve his free-throw shooting. The only thing I call cowardly is when you're up by 10 and do it. That's a coward move and [Popovich] knows that and I'll make them pay for it. [The strategy] doesn't work. You know San Antonio tried it but they went home a couple weeks after we went home. I just have to go to the line and hit them and make them pay, and I will, I'm not worried. On October 29, 2008, Popovich poked fun at O'Neal, having Michael Finley commit an intentional foul five seconds into the first game of the regular season, an idea he said he got from a media member. O'Neal laughed when he looked over to the Spurs bench and saw Popovich smiling while giving two thumbs up, further asserting that it was a joke. Just as had been the case with Chamberlain decades earlier, the using of off-the-ball intentional fouling against O'Neal became somewhat problematic for the NBA. During the 2000 NBA Playoffs, there were two games in particular, one involving the Portland Trail Blazers and one involving the Indiana Pacers, in which the Hack-a-Shaq defense was relentlessly employed by those two teams against the Lakers. As a result, there was some discussion of expanding the off-the-ball foul rule to encompass more than just the final two minutes of the game, or instituting some other rule change which would discourage the use of Hack-a-Shaq. Ultimately, though, the NBA decided at that time not to adopt any new rules designed specifically to discourage the Hack-a-Shaq strategy. One factor cited in that decision was that the Lakers won both of the aforementioned games. Since the strategy had not worked well enough to provide a win for either of the teams that had used it, there seemed to be reason to hope that its use would not become widespread. Coach Gregg Popovich of the San Antonio Spurs used the Hack-a-Shaq strategy successfully in Game 5 of the Spurs' 2008 first round series against O'Neal and the Phoenix Suns. O'Neal scored only 9 of his 20 free throws, dropping the Suns to 20-of-37 total on free throws." The Suns were eliminated from the playoffs in a 92–87 Spurs win. In May 2008, ESPN.com columnist John Hollinger named the Spurs Hack-a-Shaq use as the "Best Tactic" of the first two rounds of the 2008 NBA Playoffs. Hollinger wrote that Popovich was the "first to really master how to use this weapon to his advantage." He explained that Popovich used the tactic "to eliminate 3-point attempts" and with 25 seconds or less at the end of quarters to get the ball back for the Spurs to gain the last possession. Hollinger stated "This should be a Eureka! moment for other coaches, and I expect it will be the league's most widely copied tactic next year." Increasing displeasure on the part of fans and the media with the continued use of the strategy in ensuing seasons—particularly in high profile playoff games—prompted the league in 2008 to revisit the possibility of a rule change. However, discussion of the issue at the league's competition committee meeting that year failed to yield adequate support for the idea. According to an ESPN study in 2016, offensive efficiency was higher than the Golden State Warriors when the Hack-a-Shaq strategy was used against a team. NBA commissioner Adam Silver announced that the competition committee would look into changing the rule before the start of the 2016-2017 season due to extended length of games. 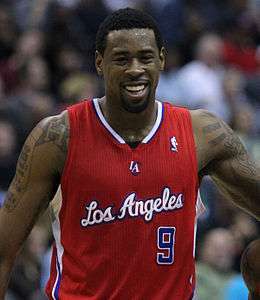 More recently, DeAndre Jordan has been a victim of the Hack-a-Shaq strategy. A player against whom the Hack-a-Shaq strategy is most effective is one who shoots free throws very poorly, and also is so effective in other areas that their coach is reluctant to simply remove that player from the game. There are very few players, aside from O'Neal, who meet such criteria. Ben Wallace shot only 42% over his career, and is statistically the worst free throw shooter in the history of the NBA (minimum 1000 attempts). Bruce Bowen was also considered one of the game's premier defenders and was also among the league's better three-point shooters. Because of their struggles at the free throw line, each man has at times become a target of the Hack-a-Shaq strategy. On January 12th, 2012, the Golden State Warriors hacked Orlando Magic center Dwight Howard intentionally throughout the game. The result was he attempted a record 39 free throws, breaking Wilt Chamberlain's record of 34 set in 1962. Howard entered the game making 42 percent of his free throws for the season and just below 60 percent for his career. He made 21 of the 39 attempts, and he finished with 45 points and 23 rebounds in the Magic's 117–109 victory. The following season, Howard was traded to the Lakers. In his first game back in Orlando on March 12, 2013, he made 25-of-39 free throws, setting Lakers records for free throws made and attempted while tying his NBA record for attempts. Howard made 16-of-20 free throws when he was fouled intentionally by the Magic. During the 2015 NBA Playoffs, Howard, now with the Houston Rockets, was again targeted often by opponents, particularly during round 2 against the Los Angeles Clippers. During Game 2, Howard shot 21 (converting 8) out of the 64 free throws for the Rockets. In turn, the Rockets targeted DeAndre Jordan, which had been victim of "Hack-a-Jordan" or "Hack-a-DJ" since 2014, and in particular was fouled five times in two minutes during the previous playoff round against the San Antonio Spurs. Game 4 had Jordan breaking O'Neal's record for most free throw attempts in a half game with 29. On January 20, 2016, Houston Rockets used Hack-a-Drummond against Detroit Pistons center Andre Drummond, and Drummond went 13 for 36 from the free throw line. Those 23 misses are an NBA record for most free throws missed by a player in a game. The merits of the strategy have been debated, with detractors arguing that in addition to its making the game unpleasant to watch, using it also violates "the spirit" of the game, puts the team employing the strategy more quickly into a team foul penalty situation, and shows weakness or underconfidence in that team's defensive abilities. All that did was allow us to set our defense. I think that's disrespectful to their players. Basically, they were telling their players that they couldn't guard us. Since its initial appearance, many coaches have become reluctant to use the strategy amid those criticisms of it, as well as doubts about its ultimate effectiveness in minimizing scoring. One contributing factor to those doubts is that players sometimes show a penchant for making a greater percentage of his free throws when the Hack-a-Shaq strategy is being employed against them than they do on the whole. 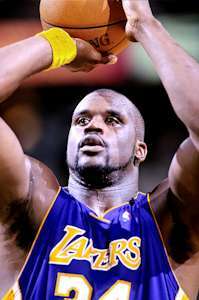 Some have theorized that sending O'Neal to the foul line repeatedly over a short period of time, as the Hack-a-Shaq strategy did, ran the risk of allowing him to "get into a rhythm" in shooting his free throws. When that happened, then the strategy would negate itself by inadvertently transforming O'Neal (temporarily) into a better free throw shooter. These factors, combined with the fact that there are only handful of important players who shoot free throws poorly enough to even make the use of the strategy a viable option, have meant that the Hack-a-Shaq strategy has not found commonplace usage in the NBA. However, as no rule change has been instituted against it, the strategy is still seen occasionally, and it remains as an option for use against any player who is a key component of his team, but still a notoriously poor free throw shooter. I wish they'd get together next year and do away with the intentional, away-from-the-ball foul just because a guy can't make free throws. But it's part of the game. [Detroit Pistons coach] Flip [Saunders] is going to use it and I'll use it. —Miami Heat coach Pat Riley after Game 3 of the 2006 Eastern Conference Finals in which the Detroit Pistons used the Hack-a-Shaq strategy against Heat center Shaquille O'Neal. Riley countered by employing the strategy against Pistons center Ben Wallace. ↑ "NBA Board of Governors approves new rules for away from the play fouls". NBA.com. Turner Sports Interactive, Inc. July 13, 2016. Retrieved July 13, 2016. 1 2 "Dwight Howard breaks FT attempts mark as Magic top Warriors". ESPN.com. January 12, 2012. Archived from the original on January 14, 2012. "In a close match, with seconds ticking down and a team being down by one or two points, a coaching strategy could be to foul and stop the clock and make the other team earn their victory by way of the free throw." "Chicago is one of the NBA's worst free-throw shooting teams at 70.7 percent." ↑ O'Neal, Shaquille. "I don't care about my [free throw shooting] percentages. I keep telling everyone that I make them when they count." in post-game interviews recorded by WOAI-TV on November 7, 2003. ↑ O'Neal, Shaquille; MacMullan, Jackie (2011). Shaq Uncut: My Story. Grand Central Publishing. p. 229. ISBN 978-1-4555-0441-1. ↑ O'Neal, Shaquille. Interview on KTAR (radio station), Phoenix, Arizona, 16 October 2008. ↑ "Stoudemire Scores 22 to Lead Phoenix Over San Antonio". NBA.com. 29 October 2008. Retrieved 6 November 2009. ↑ "Phoenix sloppy down stretch as Parker, Spurs send Suns packing". ESPN.com. 2008-04-29. Retrieved 2008-04-30. ↑ "Best and worst of the first two rounds of the playoffs". ESPN.com. 2008-05-16. Retrieved 2008-05-20. ↑ DeAntae Prince (April 21, 2016). "Adam Silver: New Hack-a-Shaq rule could be in place by July". Sports Illustrated. Retrieved June 20, 2016. ↑ Bresnahan, Mike (March 12, 2013). "Hacks and answered: Lakers' Dwight Howard buries Magic at line". Los Angeles Times. Archived from the original on March 13, 2013.